For more than 25 years Ottobock has been at the heart of the Paralympic Movement. As the longest serving Partner to the Paralympic Games, athletes at every summer and winter Games benefit from Ottobock’s experience providing technical service since the Seoul 1988 Paralympic Games. In Bionic Builders we get exclusive access to the design centres and manufacturing plants at Ottobock and see first hand how their skilled engineers craft the prosthetics that aspiring athletes and Paralympians rely on when competing. We also follow the journey of paratriathlete Andy Lewis as he takes us through his training regime ahead of the Paralympics. 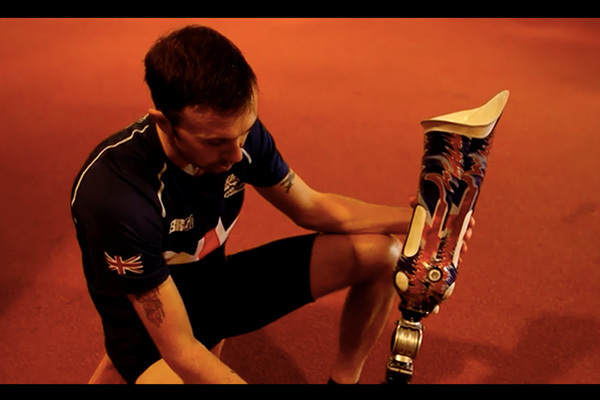 This film begins with an insight into Andy’s grueling training preparations as he tells us his story and of his experience with his running blades. We will travel to the manufacturing center in Germany and see the stringent process from the blueprint mapping and the rigorous safety testing to honing the wearability and aesthetics. We then return to the UK to meet the people who will be receiving the prosthesis and finding out how they expect the artificial limbs to enhance their lives. This film is a truly revealing look into the skill and detail that goes into making athletic prosthetics and also the emotional connection and sporting possibilities that they represent for the athletes and everyday people.